Britons’ 23 June decision to pull out of the European Union has caused shock waves in the UK and Europe, and the vote is still being digested. Early reactions from members of the intellectual property community show that the impact of Brexit on IP policies and issues in Britain and Europe is far from clear. European Patent Office President Benoît Battistelli stressed in a statement that the outcome of the referendum “has no consequence on the membership of the UK to the European Patent Organisation, nor on the effect of the European Patents in the UK.” That’s logical because the EPO is not limited to EU members. The UK Intellectual Property Office hasn’t yet commented on the vote. The UK exit is expected to occur no sooner than 2018, allowing time for a transition to take place. So the UK action may put the UPC on hold for a couple of years. The UPC was aiming to start on 1 July 2017, under the Malta presidency. Meanwhile, some countries had already been strategising to file patents at the national level and at the EU level. But will UK patent filers be able to get Europe-wide coverage and vice versa? The UK still is a member of the Patent Cooperation Treaty. Another analysis published today by the National Law Review runs through the preliminary effects of the British decision on IP rights. No More EU Trademark for UK? Trademark protection also comes into question now, as to whether European trademarks apply to the UK. The EU Trade Mark (EUTM) system will continue apply at least during the two year transition, so the effect is not immediate, according to experts. The EUIPO in Alicante, Spain was closed today for a local holiday and could not comment. What sort of IP regime the UK will have depends on what it negotiates when it leaves Europe, said Hogan Lovells (London) intellectual property lawyer Khwaja. If Britain wants to remain part of the single market, it may have to accept the EU copyright system, she said. Once the time starts running on exiting the EU, the UK will have two years to negotiate the terms, which is unlikely to be enough time to write new national IP laws, she said. The feeling is that the UK will carry on with its current system but will diverge from EU laws over time, she said. Trademarks are another issue, said Khwaja. Since 1996, when the single market was introduced, British companies have applied for pan-EU trademarks, but after Brexit those marks will no longer apply unless they’re grandfathered in or handled in some other way, she said. The decision will mean new priorities for the music industry in its talks with the government, said BPI Chief Executive Geoff Taylor. It will press policymakers to “swiftly negotiate trade deals” to ensure unimpeded access to EU markets for music and touring artists, he said. The UK will now have the opportunity to “legislate for stronger domestic copyright rules” that encourage investment in the UK and will protect UK creators from piracy and from “tech platforms siphoning off value through copyright loopholes,” he said. EU countries have until May 2018 to adopt the recently finalise EU trade secret protection directive into national law, said Hill+Knowlton consultant Jessica Faure, who worked with the Trade Secret & Innovation Coalition but stressed she was speaking personally. The UK will still be a member of the EU so could transpose the directive before exiting, she said. If it chooses not to, the European Commission won’t be able to apply penalties in the UK, and trade secrets will be protected under existing UK law. The only problem is that the UK legislation doesn’t define trade secrets, which was one of the main goals of the EU directive in the first place, Faure said. Companies will still be protected, whether under UK or EU law, but the details of the proceedings and remedies may be different, she added. Another key question is what effect the UK split from the EU will have on trade negotiations such as the Transatlantic Trade and Investment Partnership (TTIP) being negotiated with the United States. The UK is effectively out of the TTIP negotiations, as it is being negotiated by the European Commission, Scott Miller, senior adviser and Scholl Chair in International Business at the Center for Strategic and International Studies (CSIS) told Intellectual Property Watch. Miller noted that the US and EU have been working on a “stocktaking” expected in July, which “becomes more complicated.” In addition to other challenges the EU is facing, this development is presumed to be enough to put the TTIP on a “longer timetable,” perhaps after the change in presidency in the US in January 2017. The US Trade Representative’s Office issued a statement today that indicated how unclear the impact is. Some observers in Switzerland have noted that the Swiss model of existing within Europe but independent from the EU has worked very well. It remains to be seen how the Swiss model will apply to the UK, however. Switzerland has close ties to the EU through the European Free Trade Association (EFTA, with Iceland, Liechtenstein, and Norway) and the UK also could potentially join the European Economic Area (EEA). Under this, the UK “would enjoy access to the single market and would still be subject to EU legislation, including the free movement of goods and services. Under this model, the UK would make smaller money contributions but we would have far less influence on EU legislation,” according to a Fashion Law analysis. Meanwhile, the Swiss government has set up a helpline for Swiss citizens for questions about the UK leaving the EU. The British pull-out also raises significant questions for negotiations at the United Nations, such as those at the World Intellectual Property Organization and World Health Organization, as well as at the World Trade Organization. At WIPO, for instance, the UK typically falls in with the EU position, but now presumably would speak independently, like countries such as Switzerland and Norway. Intellectual Property Watch will offer further analysis on this as it becomes available. At the WTO, CSIS’s Miller pointed out that the UK was one of the founding members of the General Agreement on Tariffs and Trade (GATT) and will continue to be a member of the WTO. But trade negotiating competency lay with the European Commission, so going forward the UK will negotiate on its own behalf and not through the Commission. Miller noted that the UK maintains a mission in Geneva, though it likely does not have a trade negotiating function. As to the effect on the United Nations, the UN issued a statement on Secretary-General Ban Ki-moon’s position: “Now, as the United Kingdom and other EU Member States embark on the process of charting a way forward, the Secretary-General trusts in Europe’s well-proven history of pragmatism and common responsibility in the interest of European citizens. At the UN, we look forward to continuing our work with the United Kingdom and the European Union – both important partners. The Secretary-General expects that the European Union to continue to be a solid partner for the United Nations on development and humanitarian issues, as well as peace and security, including migration. The rather grave reaction statement of the EU leaders is available here, and also here. 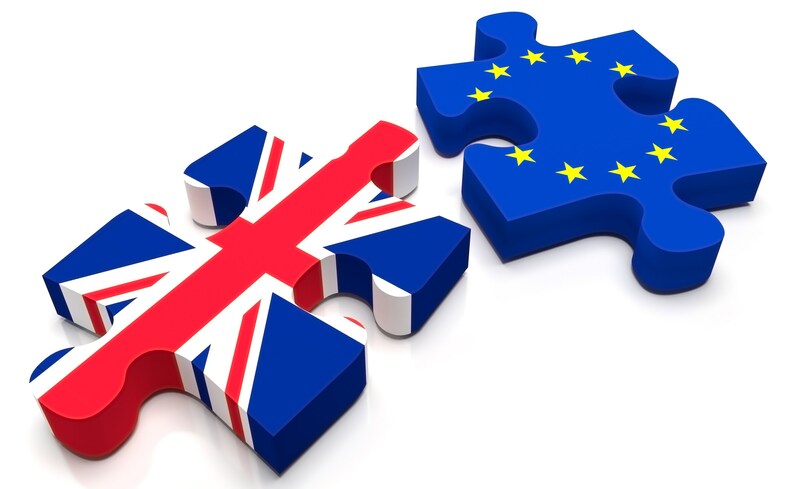 "UK “Brexit” Leaves IP Community With Many Questions" by Intellectual Property Watch is licensed under a Creative Commons Attribution-NonCommercial-ShareAlike 4.0 International License.